An esteemed colleague once told me that no category of business expense contains as much waste as marketing. The amounts are astounding. Some marketing-related activities are estimated to cost companies about $500 billion annually. There are those that consider that figure is double what it should be. That claim is not as outlandish as it might seem; it’s the single biggest expense in many companies’ marketing budgets. Marketing is economically inefficient because it operates more as a game of chance than as a scientifically well-grounded discipline. Few would submit to a medical procedure, cross a bridge or get on an airplane if medical, engineering and flying professionals approached their roles as though playing games of chance. Think of the children’s game Pin the Tail on the Donkey and you have a good idea how blindly the profession of marketing is at times acted out. The most glaring flaw in marketing is the pervasive absence of knowledge of the fundamentals of human behavior. In too many colleges and universities, an MBA candidate can get an MBA in marketing without taking a single course in human behavior. Those not in marketing are at times astonished. They cannot believe that marketing is anything other than the applied application of behavior science in a business context. To the degree that we expose students to behavioral science, their efforts are directed more to social psychology than to other, more fruitful branches of mind science. Social psychology may seem like it offers in-depth understanding of consumers’ behavior, but social psychology heavily relies on self-reports by research subjects. The uncertainty of this is reflected in high failure rates among marketing campaigns that rely on consumers’ self-reports. New product failure rates can be as high as 90%, according to some studies. The first shortcoming of social psychology as applied to consumer research and marketing is it is contextually lacking. Its first context is social; hence, its name. However, human behavior at its core is not social. It’s personal, primitively individual. All behavior begins with the natural tendency of a body to seek preservation of life and to develop itself to its maximum potential expression of self. Self-preservation is the driving force of behavior; it is not an expression of social forces. People vary enormously in how much congruence they achieve between images of apparent reality in the conscious mind and images of actual reality in the deeper reaches of the brain. The degree of congruence depends on many factors bringing us to the second shortcoming of social psychology as applied to consumer research and marketing activities. The marketing universe of advertising, marketing, sales and public relations is about getting information into people’s brains and persuading them to take action. If Maslow is correct, and self-preservation is the “most influential force” in consumer behavior, then it should be the most important tenet of behavior in consumer research and marketing. However, just conducting qualitative or quantitative research may not be fruitful. Few people know themselves well enough to give a marketer the answer he or she wants. 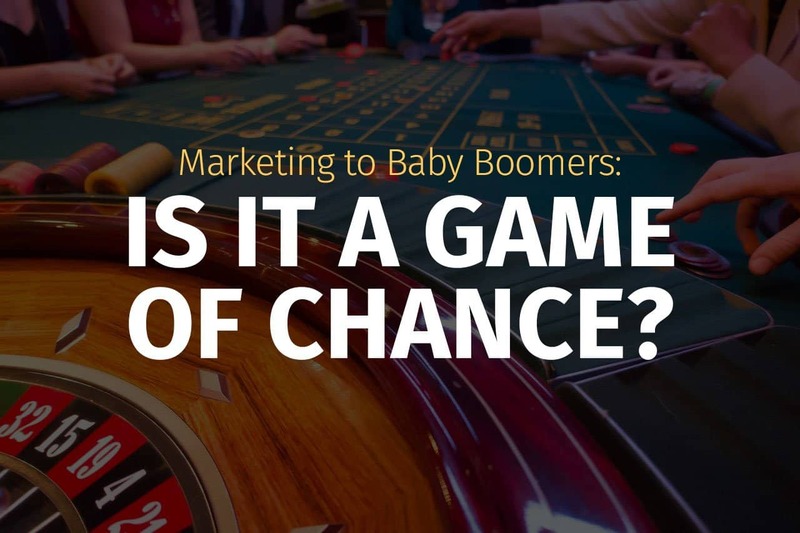 If your target is Baby Boomers, it stands beyond any need to defend the proposition that marketing success rises or falls according to the marketer’s understanding of the Boomer’s worldview, values, and aspirations. Moreover, research tells us human worldviews, values, and aspirations are manifested differently in the fall and winter of life. Clearly, the understanding of the older psyche is rooted in empirical research. It’s not only important to understand what Baby Boomer customers think; it’s also important to learn how they think. A good beginning to improve your communications is a sound understanding of how aging changes the manifestation of human values and motivators in later life. Learning how a Baby Boomer’s brain processes information is also essential. Armed with this information, infuse your marketing messages with images, emotions, stories, empathy, trust, honesty and authenticity. I may have been too quick to include the word :”trust” in that sentence. Trust is the outcome of reliability, truthfulness, capability and strength of character. Respect for consumers from companies/representatives consistently shows evidence of reliability and dependability. Trust comes from a high level of consistent confidence placed in a company/representative. Images, emotions, stories, empathy, honesty and authenticity goes a long way in creating that trust.